Happy Wednesday!! 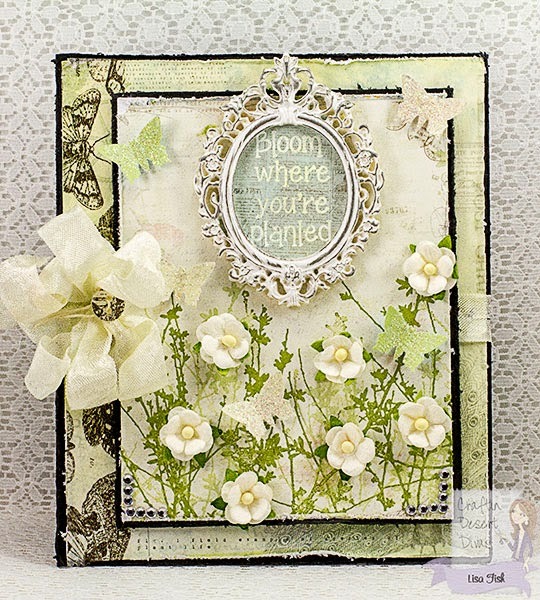 Lisa here from A Mermaid's Crafts to share a project with you today using the new CDD Blooming For You stamp set. I love this stamp set!! 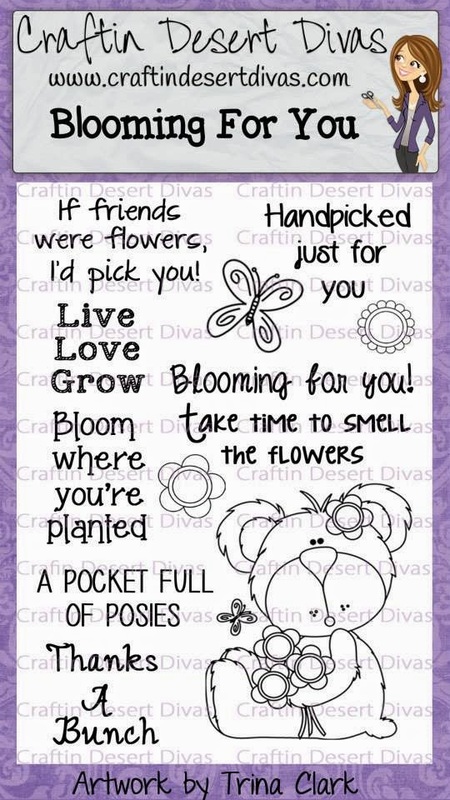 For this card, I used the Bloom Where You're Planted sentiment. 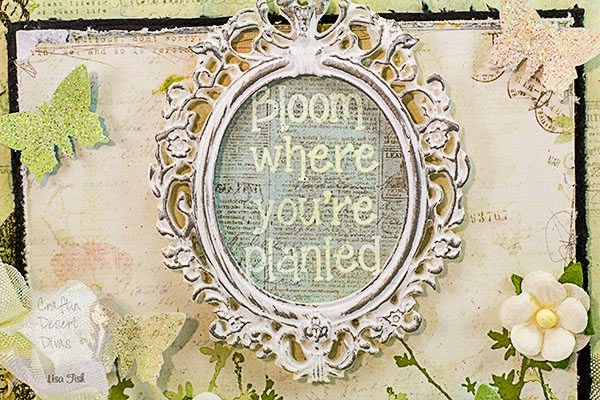 I heat embossed the sentiment with white embossing powder to match the frame. Gorgeous card. And that heat embossing is fabulous. I'm actually a little jealous because mine don't turn out that well.